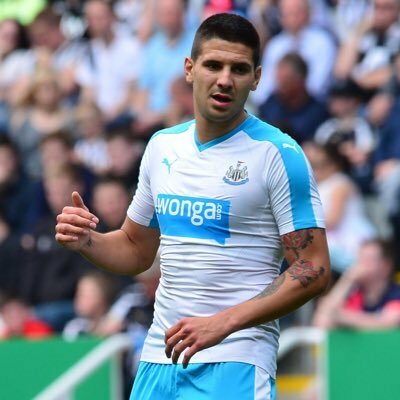 Serbia international Aleksandar Mitrovic has made the permanent move to Fulham from Newcastle United. The 23-year-old spent the second half of the previous season on loan with the Cottagers where he was influential towards their promotion and he has now joined them for a club-record fee of around £22m. “I’m very glad and happy and proud to finally be here and officially become a Fulham player. I’m happy to the moon and back. I have love for the fans. They’re amazing fans and I have a really good connection with them. This is a big club and last year we made history, we did big things, and I want to continue this. We want to keep making big things, and with all the fans behind us I think we can go far,” he told the club’s official website. Fulham have certainly made the most of the transfer window with several high-profile signings including Andre Schurrle and Jean-Michel Seri but the recruitment may not necessary guarantee success unless they are able to adjust to the challenge of the Premier League at the earliest opportunity. The Cottagers begin their Premier League campaign with a London derby against Crystal Palace and the game is likely to test their credentials despite their home advantage. Palace have looked a genuine attacking threat under the guidance of Roy Hodgson and the Cottagers may need to be wary of the threat posed by Wilfried Zaha, who remains their marquee player on the field . Should things not go their way, Fulham may potentially expect back-to-back defeats, given their next league outing is scheduled to come against Tottenham Hotspur on the road. Spurs may have not made any signings for the summer but the quality within the squad should ensure that they clinch a comfortable triumph over their cross-town rivals.